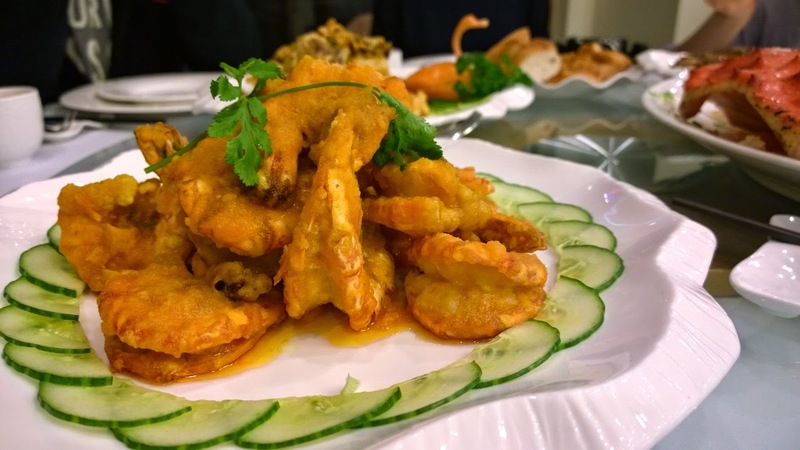 Recently, I was lucky enough to be invited to a try out the menu of a new Chinese restaurant that just opened up in Richmond (on Capstan Way, next to Manzo and Capstone). 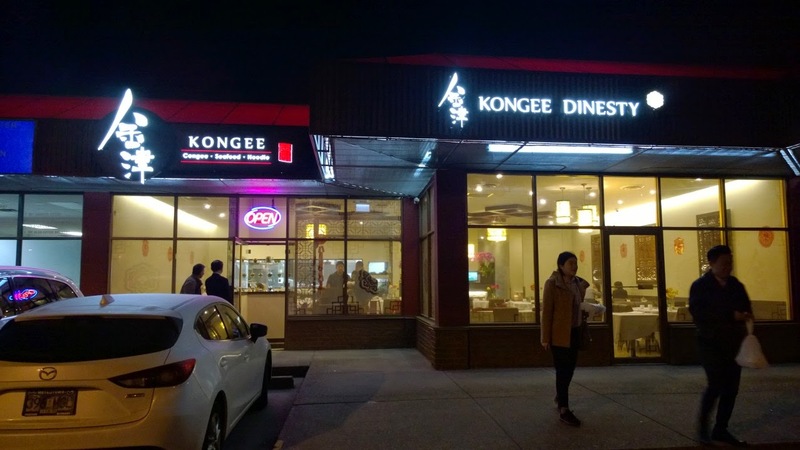 It’s called Kongee Dinesty and it is playing on the fact that they specialize and serve congee in the morning (8am-5pm) while at night they switch to more traditional Cantonese dishes. The owner of this establishment has really put her heart and soul into this restaurant. She’s been working on this project for over a year and finally her dream is starting to come true. From the design of the faucet in the washroom, to the specific ingredients used in each dish, she has her hand in everything. 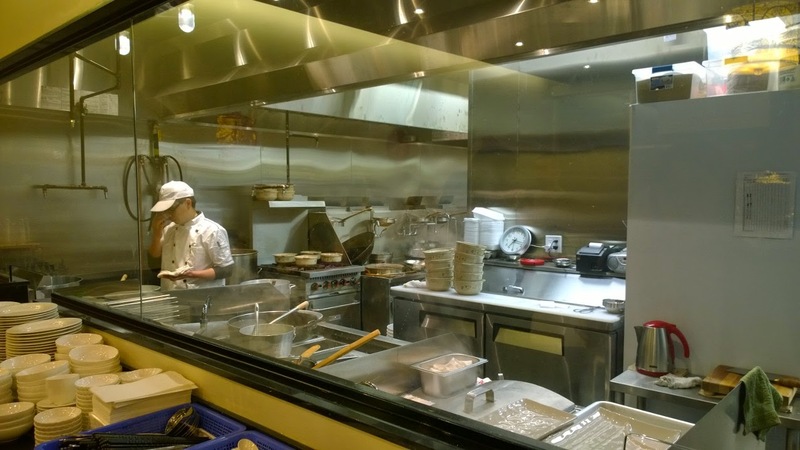 Similar to Western restaurants in downtown, they have the open kitchen concept which I really appreciate. It honestly takes a lot of courage to have everything out on display because you’re providing customers full visibility. Only restaurants with nothing to hide will opt for a concept like this. Their congee master cooking up some liver and pork congee for us. 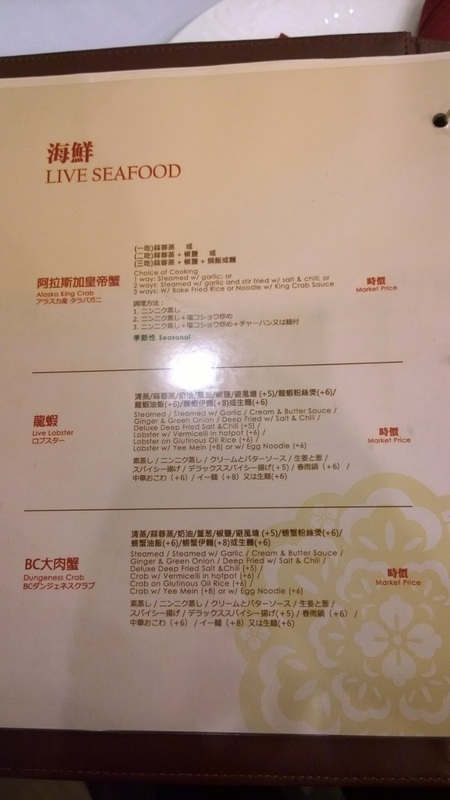 For dinner, they have many seafood options, most of which are market price. 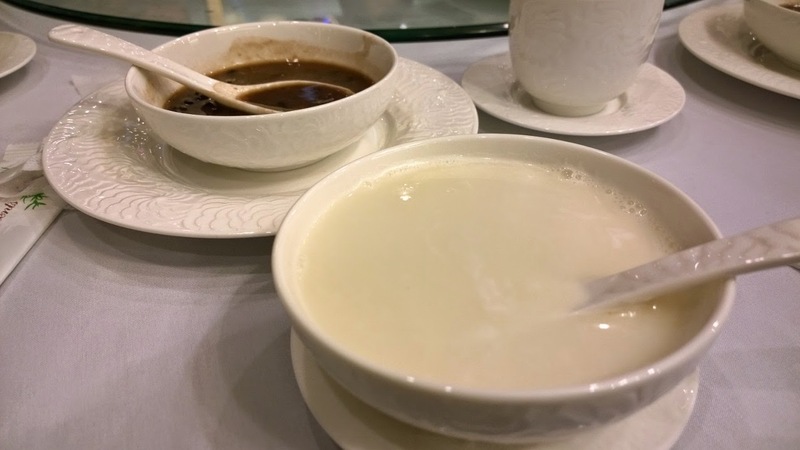 Their breakfast menu consists of primarily congee. 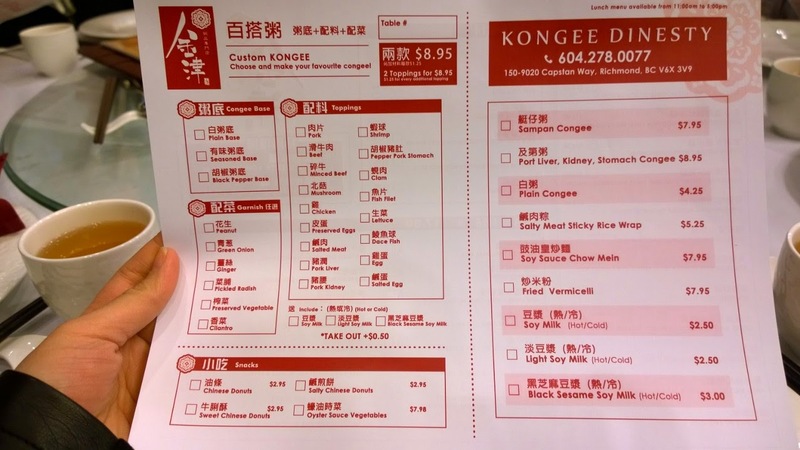 For $8.95, you get a big bowl of congee, a side of your choice which can also be upgraded for a buck twenty five more. To me, their lunch menu seems the most unique. Think Deer Garden or Cattle Cafe but with congee. 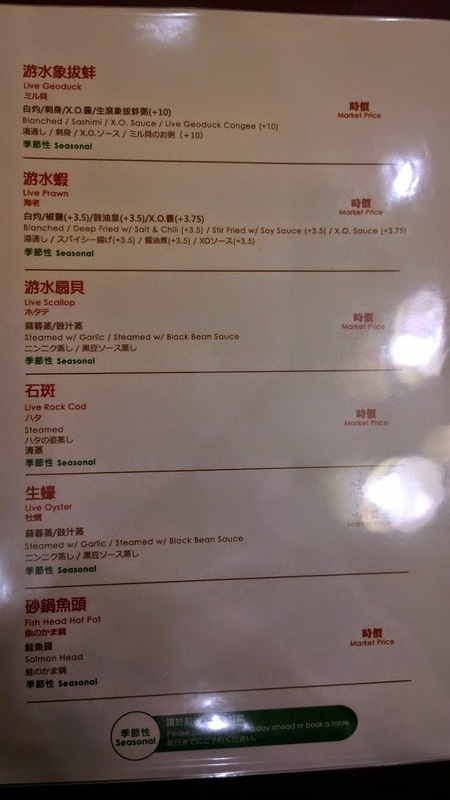 You choose a base (I’d totally go for the black pepper base), two types of meats, a drink (black sesame soy milk?? Hell ya! ), and unlimited garnishes. The owner even said you can ask the server for more garnishes if you want them mid way through too! 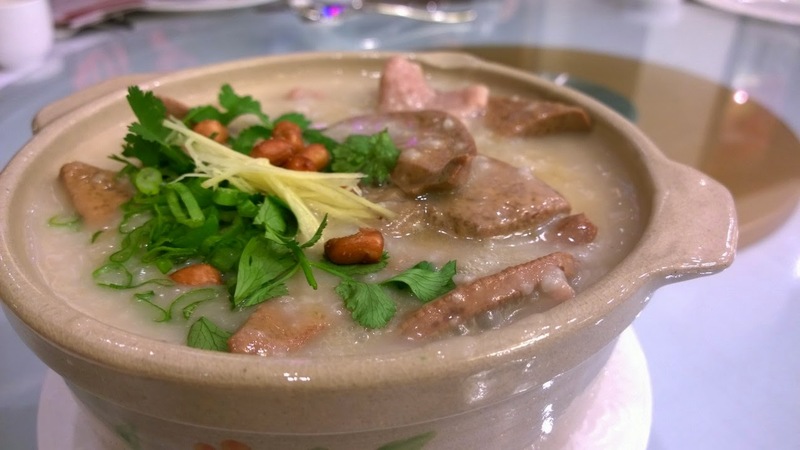 We all shared the Liver and Pork Congee and yeah… it was delicious. I normally don’t love the taste of liver but they somehow got that weird taste out of it and made it pretty enjoyable. The pork too was also of really good quality. 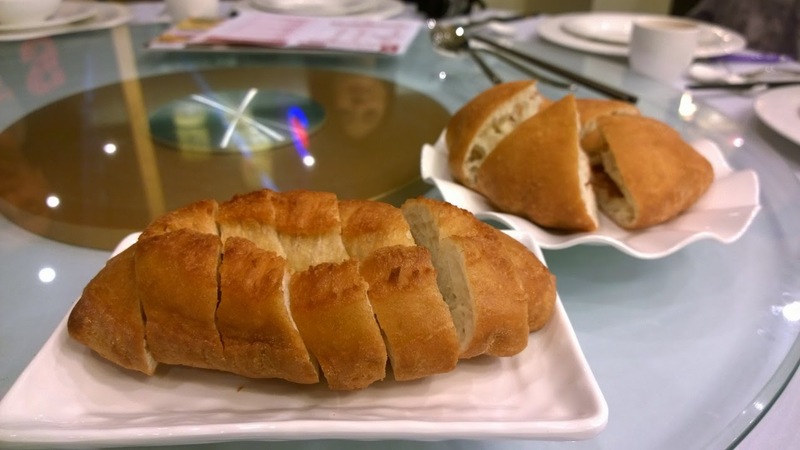 If you’re from Hong Kong, you would recognize these two Chinese Donuts. I don’t know what it’s called in English but the front one is sweet and the back one is salty (made with fermented soy bean). 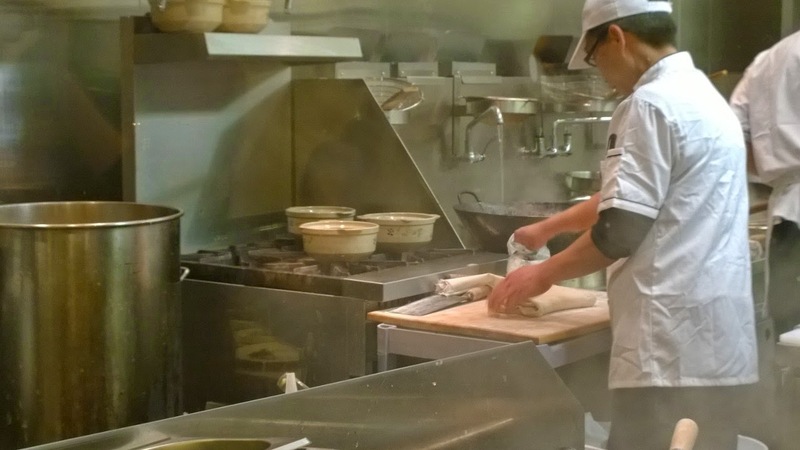 Chef making the chinese donuts by hand. This is the god almighty. 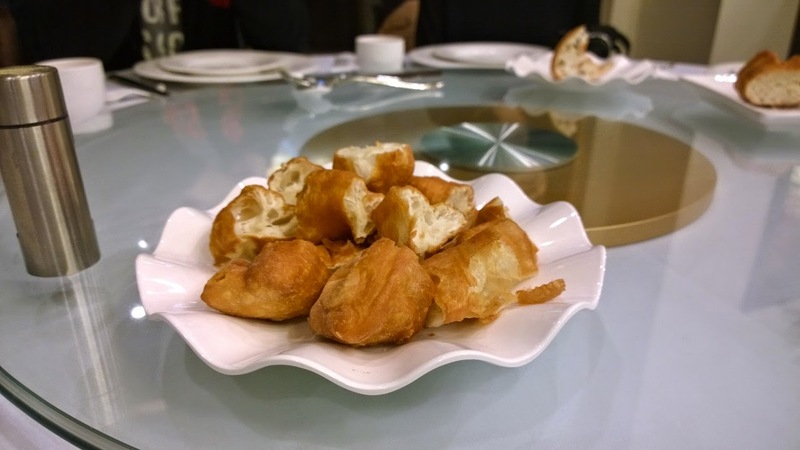 The traditional, light, fluffy, freshly fried, chinese donut. 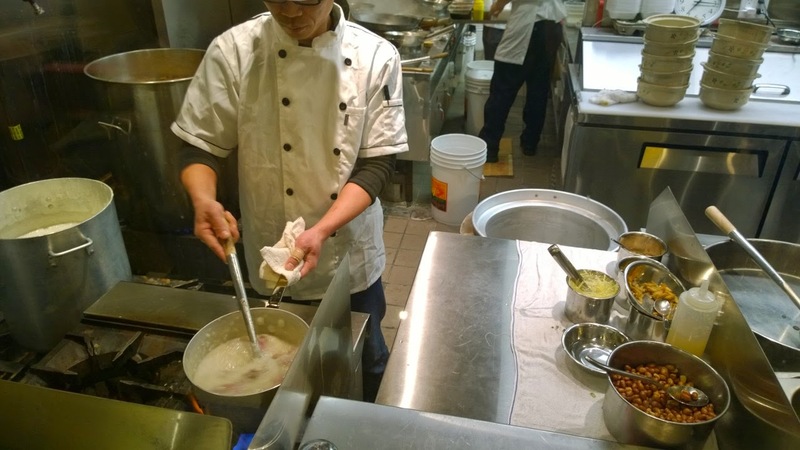 It goes great with congee and tasted exceptionally good straight from the fryer. 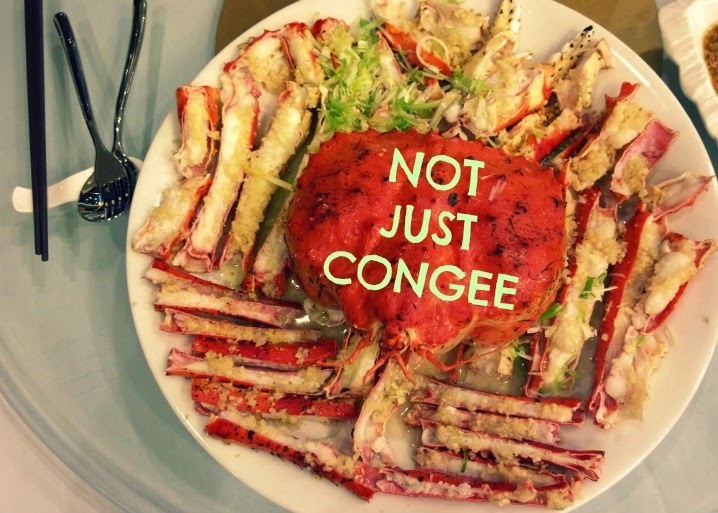 If you have gone to a Chinese wedding or a really special dinner at a Chinese ‘Seafood’ Restaurant before, this may look familiar to you. 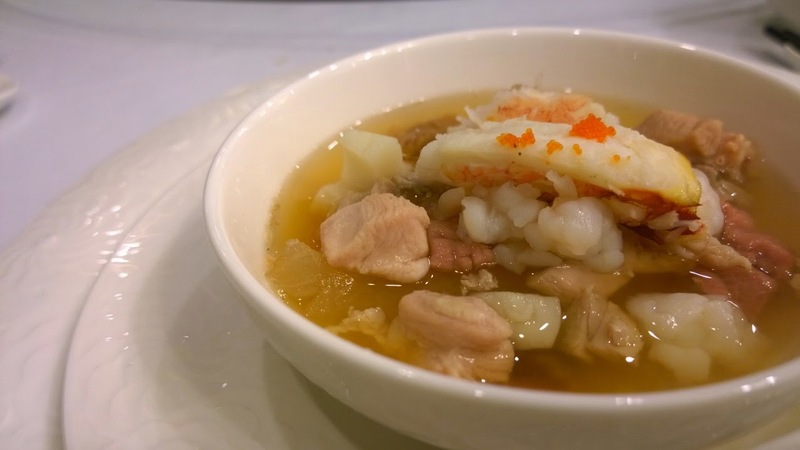 In Cantonese it’s called “Dong Gua Zhong” which means Melon Soup. 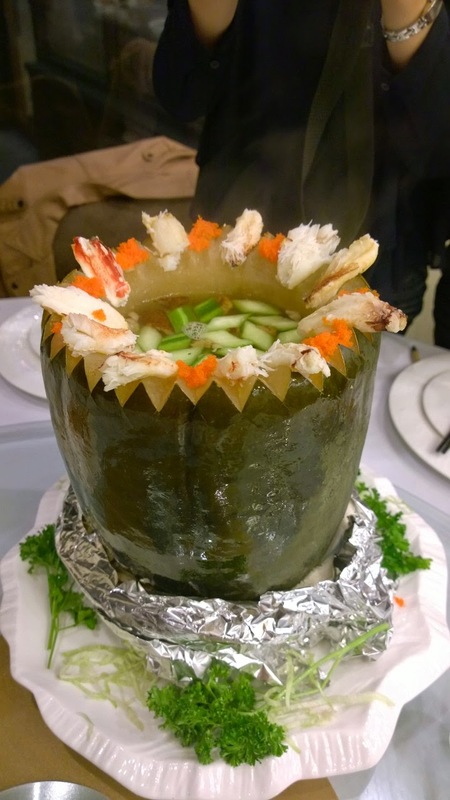 You have to order this one day in advance because they have to carve out a gigantic winter melon, boil it for 6 hours with a billion other ingredients like chicken feet, ham, scallops, shrimp, crab, chicken, and stock so everything melds together. The soup was beyond delicious and the flavours were really bright.This soup is quite a treat because it takes an incredible amount of effort to make. Eight Treasure Duck was next on our list. 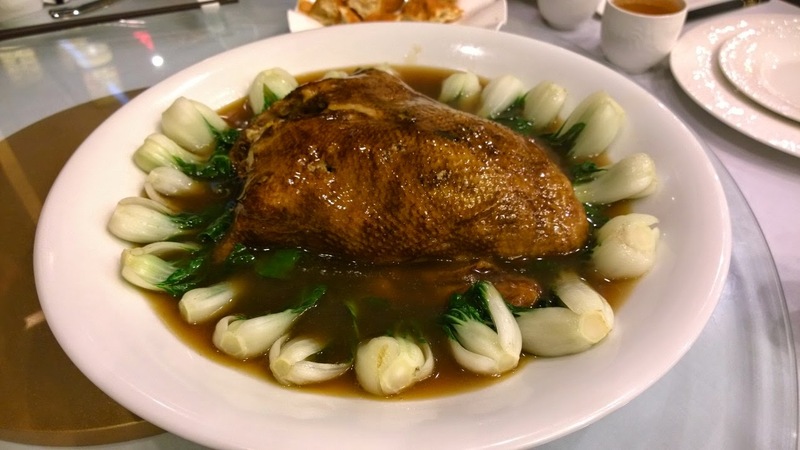 This also has to be ordered one day in advance because they have to stuff a whole duck. I love love love this dish! 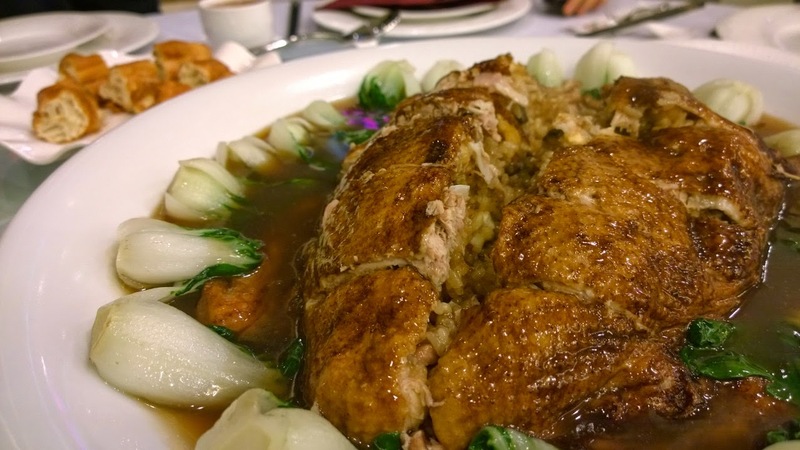 If you ever want a saucey, meat heavy, sinful dish, this eight treasure duck is the way to go. 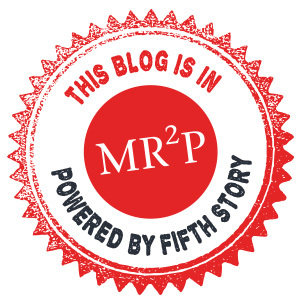 I can’t recommend this enough. Here comes the star of the show. 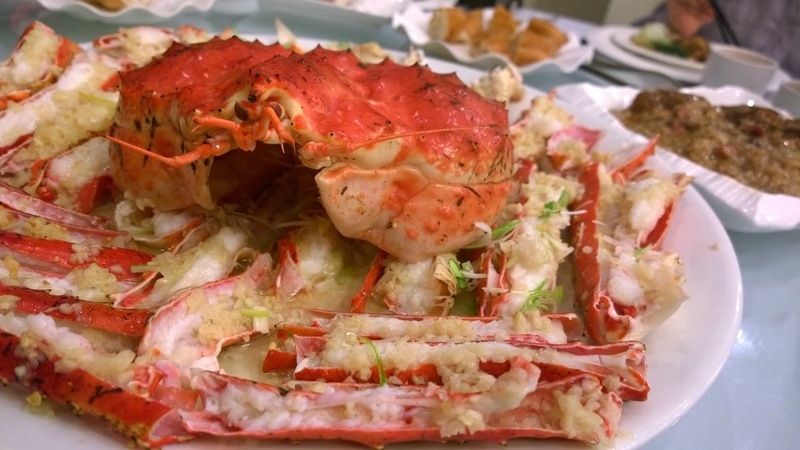 This Russian King Crab comes in at about 7.5 lbs and is slightly different in taste and texture to the regular Alaskan King Crab. 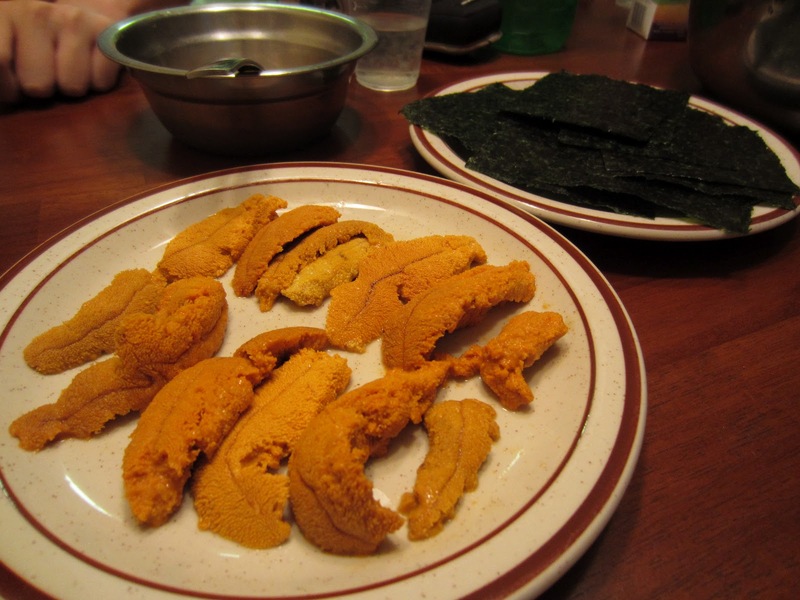 They served it to us two different ways: Steamed with garlic and onion (best way in my opinion), and deep fried with spicy salt and garlic. 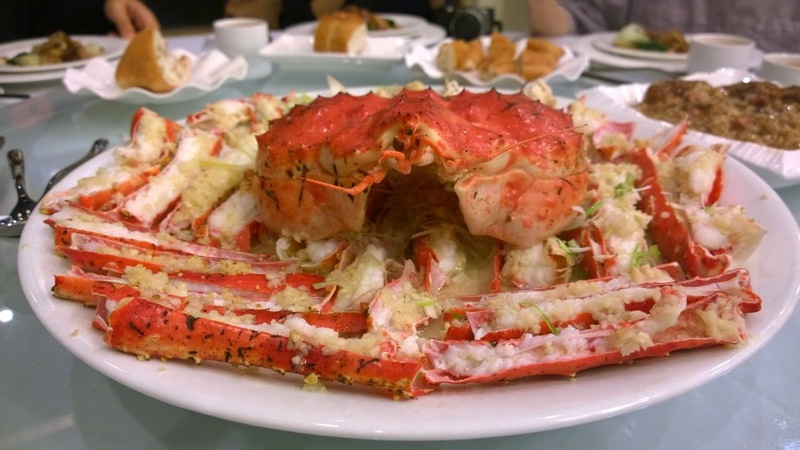 The steamed version was glorious and the crab was juicy as hell. The texture of this Russian crab was slightly softer and less buoyant than the Alaskan one which is good for people who don’t like to chew a lot. I like the bouncy chewy kind so I prefer the Alaskan. 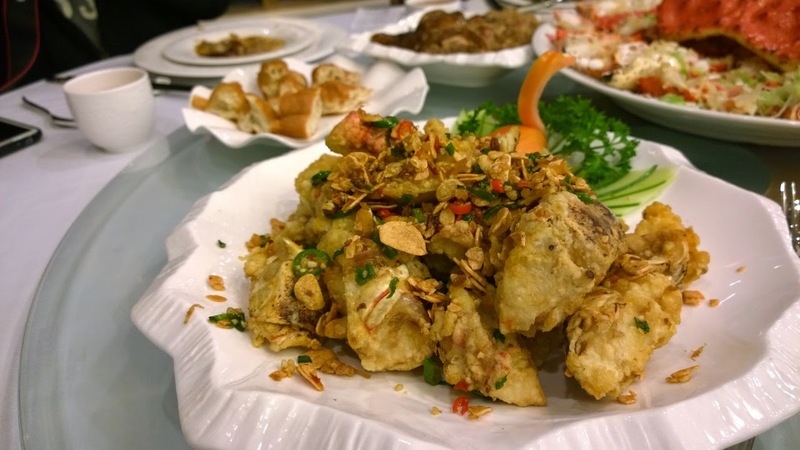 The ‘knuckles’ of the crab were deep fried in spicy garlic and salt. If you like the molten egg yolk buns from dim sum, you’ll like this Prawn in Salty Egg Yolk dish. The prawns were super plump and went really well with the salty egg yolk sauce. 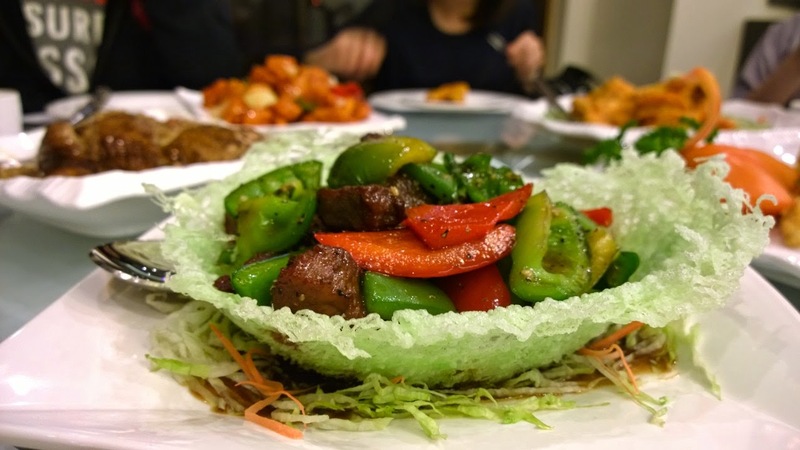 Because I was so full I didn’t fully try the Honey Beef with Peppers in Birds Nest. The beef was really tender though. 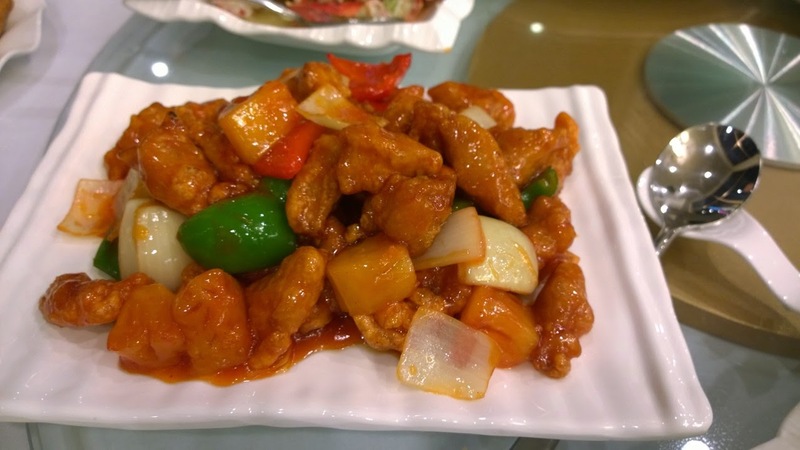 The owner said she normally detests eating Sweet and Sour Pork outside at other restaurants. However, she wanted to serve it in her restaurant and she wanted to do it differently. She wanted to use quality meats (in her case, she uses Pork Cheek which is definitely of higher quality), and less batter to keep the dish healthy and unique. I have to agree with her. It was absolutely delicious. We ended off the dinner with Red Bean Soup and Almond Tea. 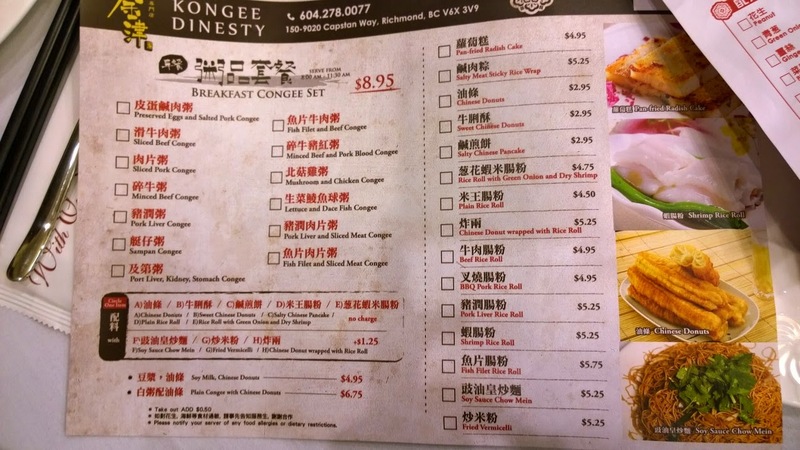 I’ll be returning to Kongee Dinesty for their unique breakfast congees and chinese donuts. My mom in particular is super intrigued by the ‘choose your own’ congee so I can’t wait to come back to give it a try. ← Momofuku Noodle Bar – Crack Pie Tastes Like Crack. 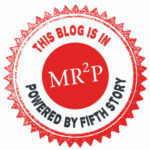 Lucky’s Doughnuts – Living in Sugar Heaven.